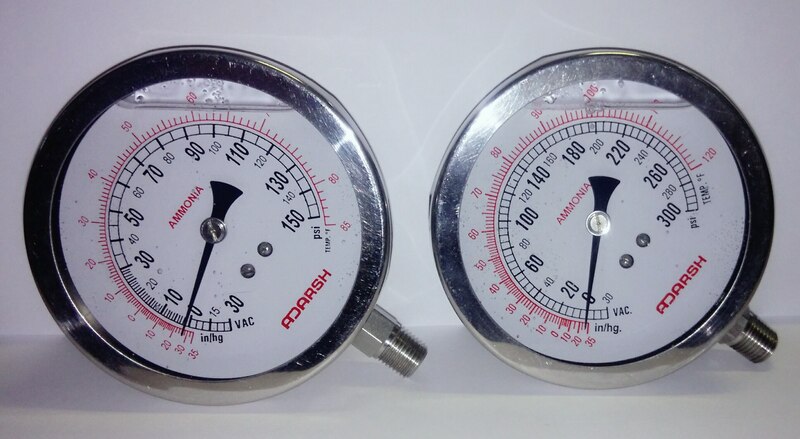 Mercury in Steel Thermometer are the most accuracte/fast response instruments with accuracy of +/- 1% FSD, available in dial sizes 4", 6", 8" and 10" Dial. Mercury in Steel Thermometer Available as both Rigid Stem Type and Capillary Type. Mercury in Steel Thermometer Ranges from -38 to max 600 deg C.
Gas Filled Thermometers have nitrogen as filling media. This makes it possible to use if for hygenic applications also. Available in dial sizes 4", 6", 8" and 10" Dial. Available as both Rigid Stem Type and Capillary Type. 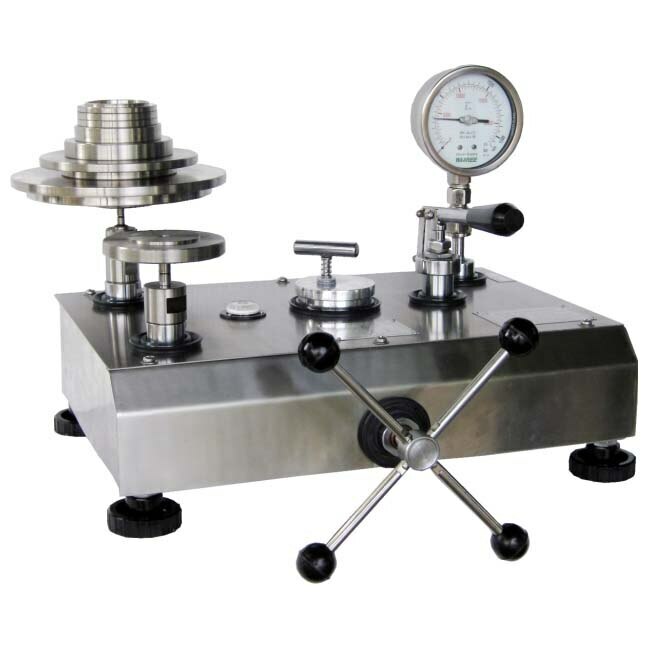 Ranges from -50 to max 600 deg C.
Dead Weight Tester These are high accuracy primary standard instruments used for calibration of pressure gauges, transmitters and switches. There accuracy is in terms of reading, which makes it superior and by buying one dead weight tester you cover all pressure ranges. The dead weight tester are available upto 1400 bar. Accuracy available are 0.1% / 0.05% / 0.025% / 0.0015% of READING.